Try SightScribe for FREE on iPad! 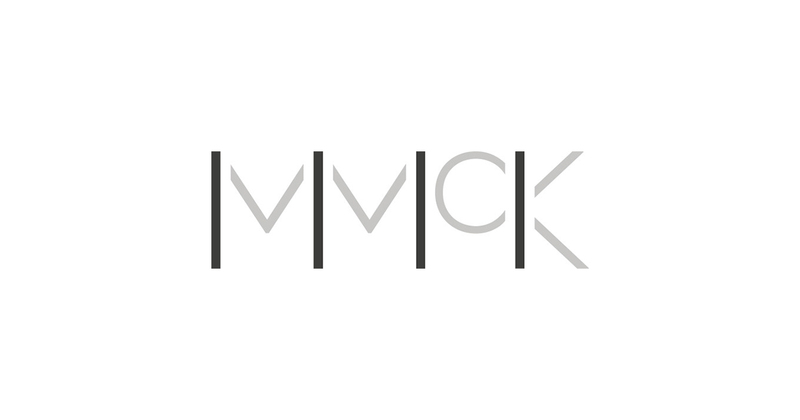 To reveal the Exercise Manager tap the small file icon to the right of the Course Menu. The first menu item launches the Create Screen and is explored in the next tutorials. 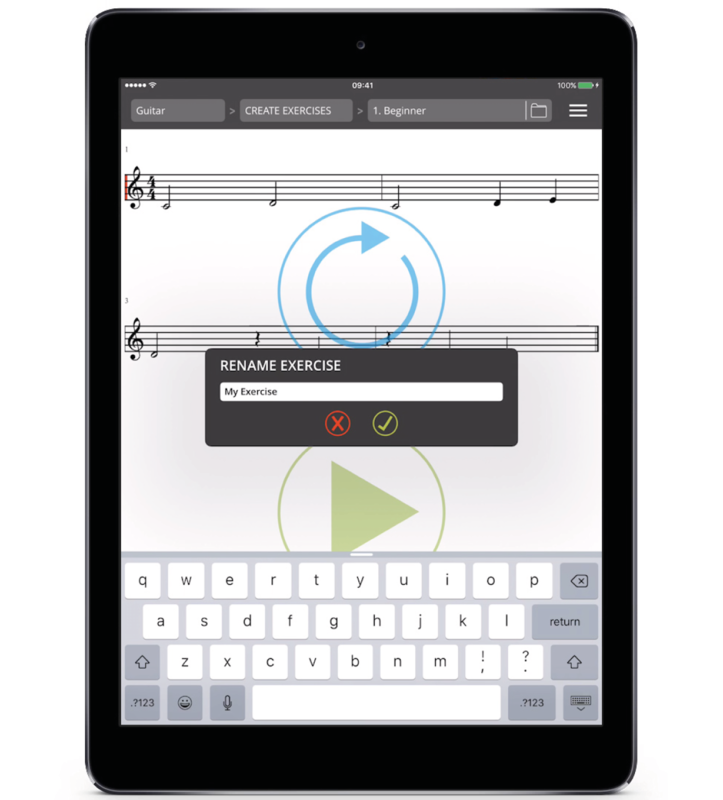 Tap ‘New’ to have SightScribe create a new exercise, adding this at the foot of the Exercise Menu. 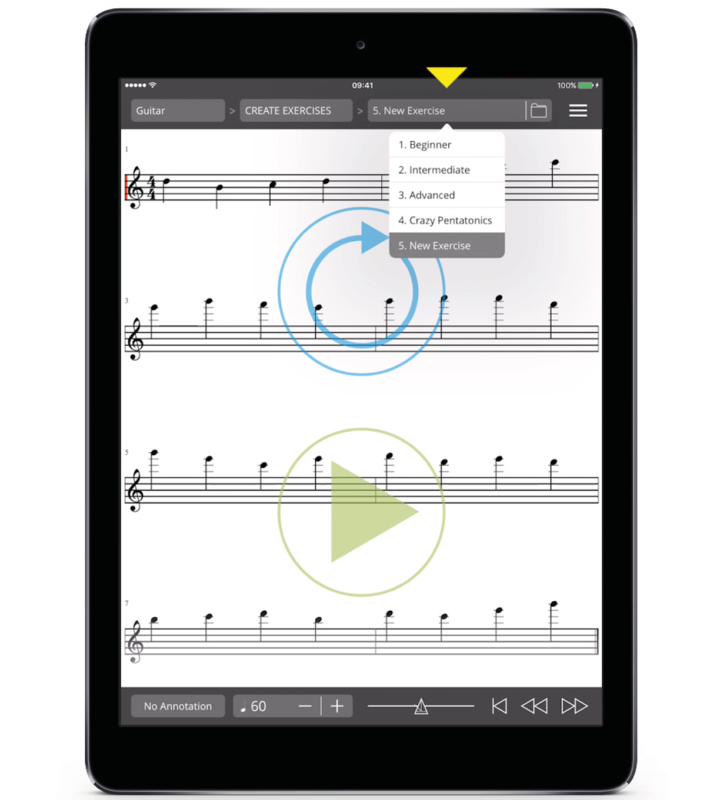 The app will navigate to your new exercise, which uses a basic quarter note template you are free to customise. The next menu option, ‘Duplicate’, adds a copy of the currently selected exercise at the foot of the Exercise Menu. SightScribe will not automatically navigate to this duplicate but you can easily do so. 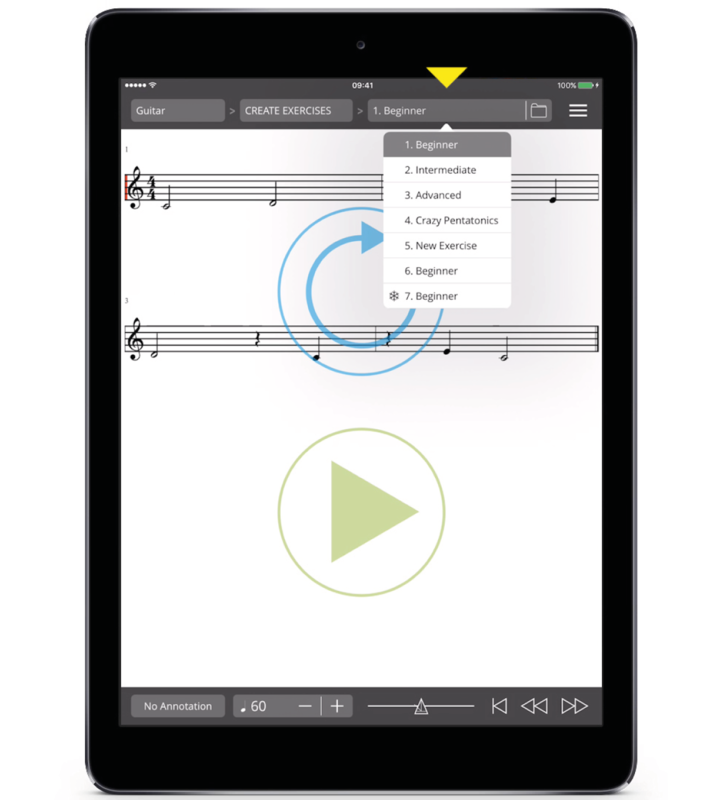 ‘Duplicate’ is ideal for making variations on existing exercises. The ‘Freeze’ command makes a duplicate of your currently selected exercise which cannot be regenerated. This frozen exercise will be added at the foot of the Exercise Menu and appear next to a snowflake icon. The ‘Rename’ option launches the Rename Exercises popover. Using the keyboard, name your exercise as you please or tap the red X at any time to dismiss the popover without saving your changes. ‘Delete’ removes the currently selected exercise from the app. SightScribe will confirm your command and automatically adjust the Exercise Menu to accommodate. 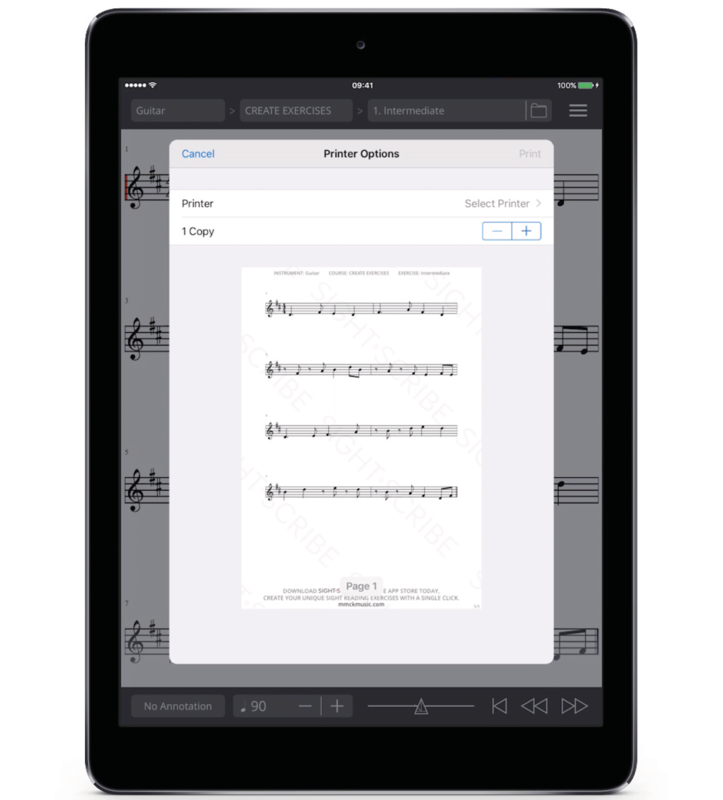 The final two Exercise Manager options allow you to export your custom sight reading examples. Tap ‘Print’ to launch the Printer Options popover and make physical copies. 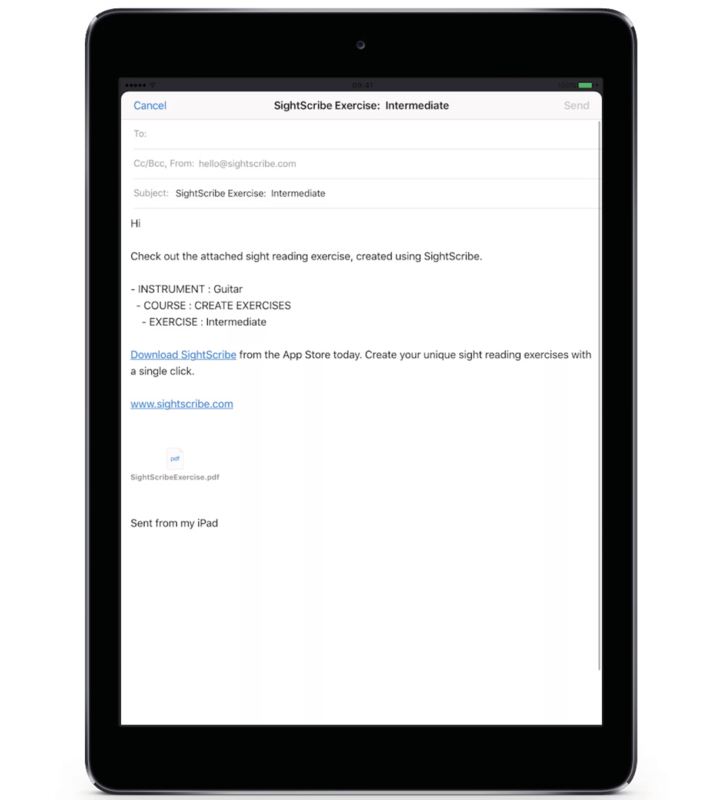 The ‘Share’ option saves your exercise as a PDF, attaching this to an email ready to forward. 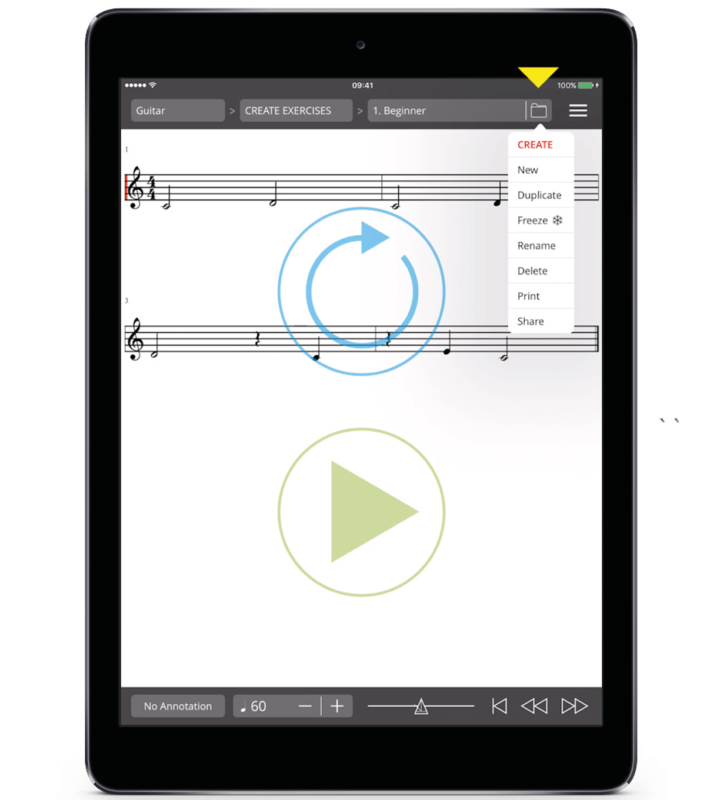 Check out the next tutorial to continue learning about Create or download SightScribe FREE of charge and try the app for yourself!